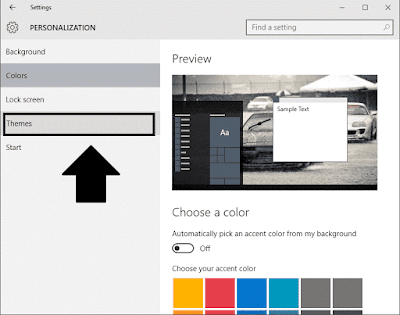 Want to customize title bar color in your Windows 10 PC? Now you can get rid of white title bar and manually choose title bar and accent color. Microsoft have made many good changes in Windows 10 and most users like Microsoft's new operating system. But there are always some features left which users don't like, like the white title bar. You can't customize title bar color manually in Windows 10. Anyway, developers can decide the color of title bar on their theme. In this post I will provide you a tweak which will bring back back auto-colorization feature. You can also manually change the title bar and accent color. Note: You'll need to patch your system in order to change the text color of the title bar and many small tweaks. Read steps given below. Go to this link and download the Ultra UX Theme Patcher. Run this file with admin rights and patch your system. 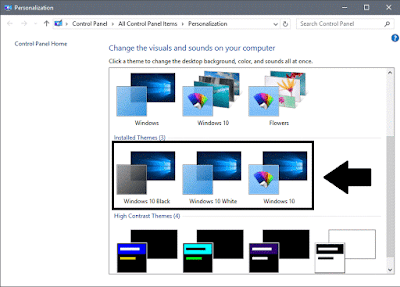 Next, head over to this link and download the colored title bar theme for Windows 10. After downloading, extract the ZIP Archive with 7-Zip or Win ZIP. You'll get 5 files/folders in the archive. Copy Windows 10, Windows 10 Black and Windows 10 White theme files including Windows 10 folder to "C:\Windows\Resources\Themes" folder. Note: Windows may ask permission to move the files to "C:\Windows\Resources\Themes", accept it. Done. You can now apply this theme. After moving files as said above in the specified folder, apply this theme. Right click on the Desktop and select Personalize option. It will take you to the Personalization window, click on Themes tab. Now click on Theme settings link. Now you'll see Windows 10 Black, Windows 10 White and Windows 10 theme in Installed Themes section. Hint: Applying Windows 10 Black theme will change the color of the title bar to black. 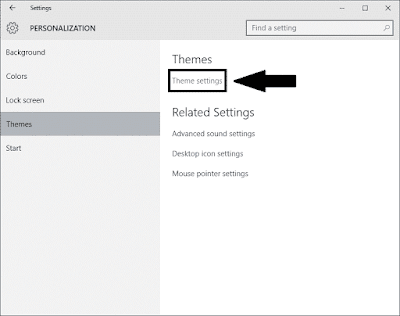 Apply Windows 10 to make the title bar automatically choose the color from your background. 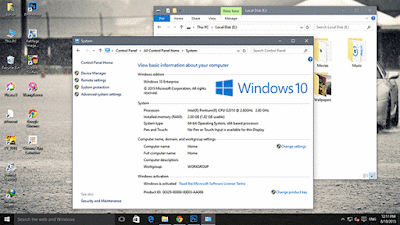 Apply anyone and enjoy the new colored title bar in your Windows 10 PC. That's all! Now you'll get colored title bar in your Windows. Comment below, if you need any assistance.